Pandora was one of the pioneers of the internet radio market, but even though the swift rise of Spotify and Apple Music clearly signaled the direction in which the industry was headed, a direct rival for the two streaming platforms only came in 2017. As of the third quarter of 2018, Pandora boasted close to 70 million active users, but a measly 6.8 million subscribers for its Plus and Premium services. That pales in comparison to Spotify and Apple Music's paying customers, although it's still a pretty massive subscriber count for a US-only service facing intensifying global competition in an increasingly crowded market. Of course, that doesn't mean Pandora isn't looking at various ways of boosting its numbers, including perhaps the easiest, most foolproof user acquisition strategy. We're talking about extended free trials, which are available for a limited time right now at Groupon. These are obviously "selling fast", but at the time of this writing, you can still choose one of three free premium music streaming options for 90 days. Or rather two Premium options and a Plus service tier that's normally cheaper, at $4.99 a month. Pandora Plus basically lacks the on-demand and unlimited characteristics of the Premium subscription, merely offering the ability to replay and skip tracks the platform will automatically serve you, as well as ditching ads and featuring offline listening support for four radio stations. 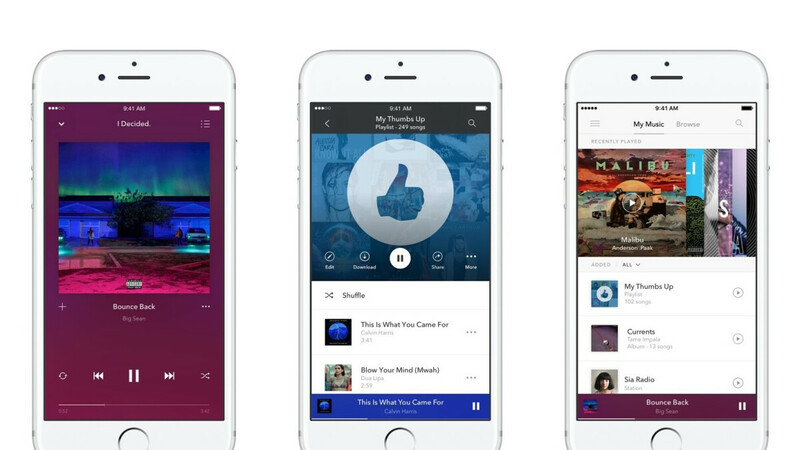 Meanwhile, an individual Pandora Premium account would typically require a $9.99 monthly payment, letting you play songs at will, search for your favorite content, create fully customizable playlists, and access your entire music collection offline within the boundaries of your phone's storage. Last but not least, Groupon will allow you to sign up for three months of Pandora Premium Family access at absolutely no charge as well. That's a savings of around 45 bucks, including premium music streaming rights for up to six different users. As you can imagine, these promotions are only available for new subscribers who haven't used a free trial pass before, requiring coupon code redemption directly at Pandora, as well as credit card registration. Keep in mind that you'll naturally be charged the regular subscription fees once the first three months are up unless you cancel the service earlier, which is allowed but not exactly encouraged by Pandora.